Welcome to the PapARt newsletter. To see the collection of prior postings to the list, visit the Papart-public Archives. Using Papart-public To post a message to all the list members, send email to papart-public@lists.gforge.inria.fr. You can subscribe to the list, or collect emails diffusion, change your existing subscription, in the sections below. 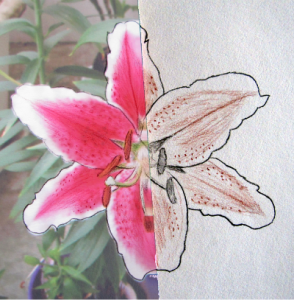 The PapARt (Paper Augmented Reality Toolkit) is a Processing library that enables the creation of interactive pieces of paper. The videos show art-oriented applications. The range of application is larger, to entertainment (video games), art installations, tangible menus, touch screens creations, urban planning, museum exhibitions and much more. Our goal is to enable anyone to create augmented reality application with the ease of the Processing API with a large range of harware such as webcams and Kinects and any kind of projector. While it may take some time to reach the general public, a beta will start soon. That is the reason for this diffusion group. PapARt is going towards an open-source release. (The exact licence is in discussion). If you only want to know when the beta starts, just send an email to jeremy.laviole@inria.fr. Subscribe to Papart-public by filling out the following form. You will be sent email requesting confirmation, to prevent others from gratuitously subscribing you. This is a private list, which means that the list of members is not available to non-members.